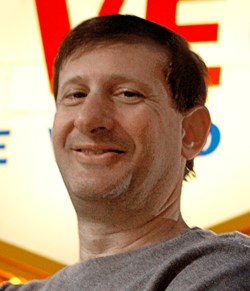 Stephen Nover has worked in just about every aspect of the sports handicapping world. He has worked as a handicapper, bookmaker, analyst, author, and even sports betting teacher. There isn’t any aspect of this business he doesn’t understand. And as a former teacher, Stephen is here to not only make you money, but actually help you improve. Every pick he makes comes with a full rationale so you know what you’re betting and why. But never mind learning, let’s talk about earning. Because for as comprehensive as Stephen’s background is, there’s nothing about it more impressive. His record alone should be enough to show you your bankroll will grow with him. Sinec 2011, Stephen is the proud owner of 11 top 10 finishes, including four of them in the top two. The 2014-15 season had him crushing top 10 finishes in in pro and college basketball, as well as a #6 finish in CFL. The CFL isn’t exactly a hotbed for betting, but a sharp capper can make good money there. That’s why Stephen has made over $500 in profit on just 14 CFL bets of $100, on a 10-4 record. Not impressed with that? Okay, how about an all sports streak that has made more than $6,200? A basketball streak worth more than $6,800? College basketball and football streaks hitting at over 60%? There are a multitude of reasons to jump on board with Stephen, but none better than pure profit. If you’re looking for someone who will grow your bankroll and teach you a thing or two, here he is.